Erin Yaseen, a registered dietitian nutritionist, is passionate about health, there’s no doubt about that. She’s a real-food advocate and a leading expert in the field of nutrition, who walks the walk. Amid the conflicting food fads and confusing health information, Erin serves as your nutrition expert; crafting real-food plans that empower you to live symptom-free and enhance the quality of your life. Erin incorporates a sophisticated Bioelectrical Impedance Analysis in her practice, to track your progress by measuring fat, muscle, water absorption and retention, nutrient absorption and cellular health. Her approach is functional (getting to the root rather than chasing symptoms), individualized and comprehensive. Erin is incredibly relatable and knows the struggles of how a health condition can take over your life. Diagnosed with an autoimmune disease, Lupus, at a very young age, Erin was determined to find a way to alleviate her debilitating symptoms and live a life that was full of energy and zest…and that’s what she did. 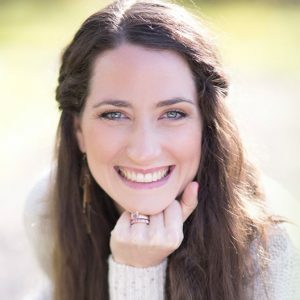 Erin found functional medicine and through this approach, Erin now is free of autoimmune markers and is a living testimony and example of how food can radically change your life. Erin’s experience using food as medicine eventually led to a career in Nutrition. For the past 10 years, Erin has been helping to transform her client’s lives as a registered dietitian, by healing and even reversing disease states. She serves as a source of inspiration and insight and teaches you that your body will heal when given the right environment; giving you hope. Erin studied at Southern Illinois University for her Bachelors in Science in Dietetics. She graduated with honors and then went on to her Master’s Degree in Nutrition at Bastyr University in 2005. She fell in love with the small town charm and community-oriented nature of the Snoqualmie Valley and hasn’t left since. Erin lives with her husband and their blended family of seven! Yes seven! Talk about meal planning. Erin is passionate about creating community and building support systems for her clients. She is a team member among healthcare practitioners and residents worldwide. Erin offers INDIVIDUALIZED, one-on-one nutrition counseling and group workshops. Erin is also available for your next speaking engagement or corporate wellness program.